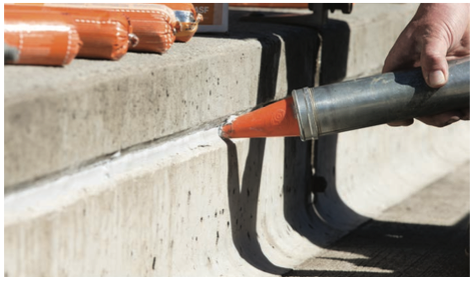 New material choices that provide benefits to contractors also create challenges for assuring that caulk and adhesive options will work successfully. Manufacturers are responding to those needs and others with products that offer more flexibility to meet a wider array of challenges. Determining which options offer added benefits and save customers time creates the biggest opportunity for dealers. 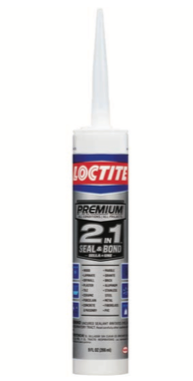 Loctite 2 in 1 Seal and Bond Premium from Henkel Adhesives combines the bonding strength of an adhesive with sealing properties. It serves as an all-condition sealant, with high adhesion and low odor for interior or exterior projects of all types. It can bond and seal a variety of materials including wood, brick, concrete, PVC and fiberglass. The BASF MasterSeal NP 1 ProPak sausage, (aka the Sonolastic NP 1), is a one- component, high-performance, non-priming, gun-grade, elastomeric polyurethane sealant that requires no mixing, saving both time and money. It typically requires no priming to bond to many materials, including concrete and masonry. 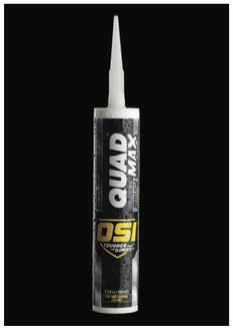 OSI’s QUAD MAX sealant for windows, doors and siding was designed to offer high performance through flexibility, strength and durability. It is said to perform under harsh weather conditions, including freezing temperatures, intense heat, strong winds, rain and snow. It is the flagship product in OSI’s “Tougher Than the Elements” line of products. Contractors are realizing there can be value in premium products. Specialty and premium-level products are seeing growth of about 10% per year, notes Bruce Johnson, director of marketing at Sashco. At the same time, the moderate category has remained flat and low-end products have fallen about 4%. 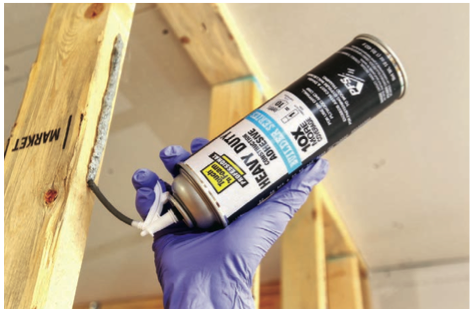 Touch ‘n Foam Professional heavy- duty construction adhesive was designed for fastening gypsum wallboard to wood framing. 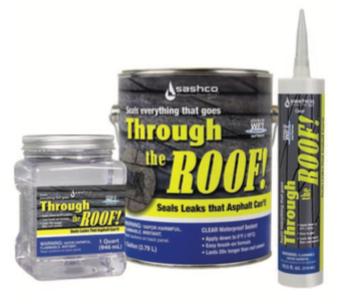 The all-weather, one-component gel-foam condenses into a high-strength gel adhesive that is said to yield 10 times more strength than traditional adhesives while installing quickly and allowing for fewer fasteners. 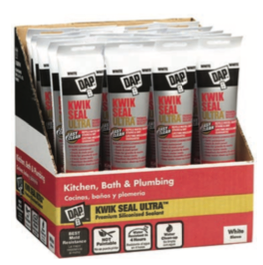 Kwik Seal Ultra, a premium siliconized kitchen and bath sealant introduced by DAP, was engineered with new sealant technology to repel water, liquids, soap scum, stains and dirt so the sealant is easier to clean and stays looking fresh. It cures in four hours and cleans up with soap and water. It comes in 10.1-ounce cartridges and 5.5-ounce squeeze tubes. Adds BASF’s Haag, “Hybrid technology is definitely growing and leading to new product options and versatility. But not all hybrids are created equal. Each company has its own approach and formulation, and they don’t all work the same due to different movement or adhesion capabilities. Independent validation helps to confirm the performance of formulations from various manufacturers. a variety of sizes, including a Clear Quart container that emphasizes its transparent nature. It will stick to wet or dry surfaces in temperatures from 0°F to 120°F. OSI’s Sobonya agrees. “The cartridge shape and size is standard for residen- tial construction, and that isn’t chang- ing. In the light-commercial market, of buildings five stories or lower, there’s more use of sausage packs because they’re larger and more convenient.” OSI will be launching a line of such packs later this year, he adds.